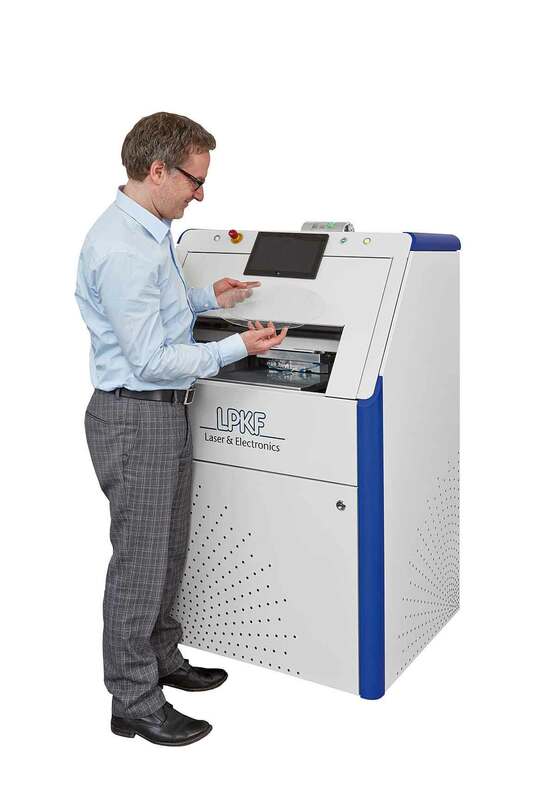 With its PrecisionWeld laser welding system presented in Europe for the first time, LPKF expands the areas of application for laser plastic welding. The PrecisionWeld is on show in Germany for the first time on the LPKF stand (E04 in Hall 11) at the K trade fair in Düsseldorf from 16-23 October 2013. This system has been specially designed for welding the fine channels required for microfluidics applications. This compelling overall concept boasts three completely new approaches: The housing is derived from the industrially tried-and-tested MicroLine series. Moreover, the laser specialists from Erlangen/Germany will also be show-casing typical welding systems from their broad product portfolio. The PowerWeld product line represents the stand-alone systems. The LPKF stand at the K trade fair presents a closed version, and a model with a rotary table. The “integration systems” are represented by the LPKF Inli-neWeld 6200. This model is optimized for integration within a client’s own production lines: The clever separation of the welding head and the con-trol unit and laser unit considerably reduces its footprint in the direct pro-duction zone. The special LPKF InlineWeld 2000 system demonstrates a modification developed for radial welding. The LPKF TwinWeld3D hybrid welding system is engineered for welding large three-dimensional molded components. It is ideal for the high value, and economical welding of visible components. This unit reduces the stresses in the workpiece by generating a thermal field – which also means that post-processing steps are no longer required.